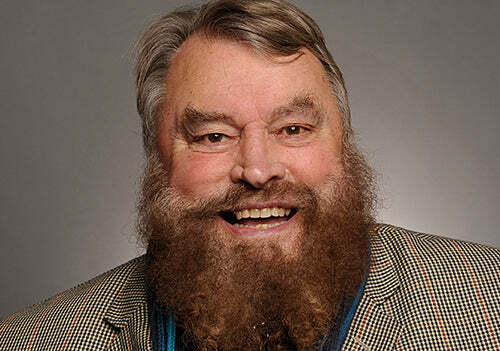 Brian Blessed is known for his vivacious character and booming voice, however did you know that he is a huge shed fan? As soon as we heard that he loved sheds almost as much as we did, we just had to get him involved in our 2016 radio advertising campaign. A few weeks ago we went down to the Capital Radio recording studio where we got to meet Brian and listen as they recorded our ad which is now being aired on Classic Radio across the Midlands. Brain Ireland, Marketing Manager for Waltons said: "We are delighted to have a genuine shed lover voice our ad campaign. Brain is a fantastic character and we are really pleased that he was able to get involved." "Room! I need ROOM. For my life. For my soul! To spread out. To be me. And to make myself whole!" "Not a corner of the kitchen. A space in the study. A slice of the porch next to boots wet and muddy!" "What I need's a building. Out there! By the trees!" "That's why I'm off to Waltons. And why, so should you. Garden buildings of every design's what they do." "And once I've chosen my perfect space, this is true..."
"They deliver in days-and install it too!" Want to hear the ad? Listen out on Classic Radio.